The global market for parenting is worth US$889 billion, while education services are valued at a staggering $5 trillion. In one of the biggest parenting markets of the world, China, we see huge potential: 20 million babies are born each year and the nation is home to 234 million children aged 0-14. Moreover, 41% of Chinese families are planning on having a second child. In the world’s most populous nation, the value of the market for non-kindergarten education services will reach a predicted US$15.3 billion by 2020. Globally, parents face a series of problems when it comes to buying safe products for their children or choosing the right parenting and education services at reasonable prices. The first issue is price. Up to 60% of the price of a children’s product is attributable to marketing and promotion costs. Brands want to charge a premium, distributors add their commission, and e-commerce sites and retailers want to recoup promotion costs. They all trade on the fact that parents are prepared to pay more for safe products if they can afford them. 45% of Chinese moms and dads state cost as the deciding factor for not having a second child. The second is trust. China frequently makes the news for producing fake and dangerous products, ranging from milk powder to toxic paint on toys. This is exacerbated by fake reviews and comments, which prevents parents from reliably assessing product safety and quality or the quality of parenting services like education. In fact, parents have become so skeptical that 68% reported that they refuse to buy children’s products online. Honest and high-quality manufacturers and service providers are punished because the default position of parents is distrust. We don’t think this is fair or appropriate. So we have used our knowledge of the Chinese market, our experience in the parenting sector, our connections with major manufacturers of baby products, and our established subscriber base of 1.5 million users to create FamilyPoints – a platform that brings parents, experts, manufacturers, and service providers together. FamilyPoints is a scalable platform which uses blockchain ledgers as the foundation to support the three pillars of our Company’s principles: economic value, integrity, and education. Using transparent ledgers which can be seen by anyone and which cannot be tampered with, we provide parents with a system that guarantees peace of mind. Not only are parents able to earn up to 40% rewards from purchases of Baby and Maternity products within the FamilyPoints ecosystem, but they can spend it on a variety of services through the platform, especially on child education services. With a fully transparent ecosystem, parents can also trust that the reviews they see for products and service providers are completely honest. By cutting out the middleman, we can provide rewards which have real-world economic value to parents. We work directly with selected producers and brands, eliminate all unnecessary markups, and pass the savings on to parents. For parents who make a purchase, the rewards they receive can vary from between 5% to 40% of the cost of purchase. Parents can spend their rewards on the FamilyPoints platform to buy different kindsof services, from access to educational videos, to classes, and even insurance or family holidays which are focused on children and parents. Parents may even have the option to convert their rewards to cash in the future. The platform currently offers educational services that include online courses, live consultations with experts, access to the biggest parenting library in the world with 1,150 educational videos, webinars, and booking for offline classes centers. For customers, this means that FamilyPoints can also provide educational services and satisfy the needs of parents and children. We encourage customers to post content and provide feedback about the products and services we offer on FamilyPoints. Other users can then upvote helpful content and reviews with points (similar to Steem.it’s service). Not only does this create a sense of community, but it also lets honest reviews do the marketing rather than paid promotions. Community referrals will be the main fuel powering the growth of the FamilyPoints platform. Our 1.5 million-strong subscriber base from Babystep.tv and key opinion leaders in the maternity and baby community will become the early adopters and ambassadors of the FamilyPoints platform. As with the Partner Program for service providers, each user has a rewards incentive to invite others to join the community. 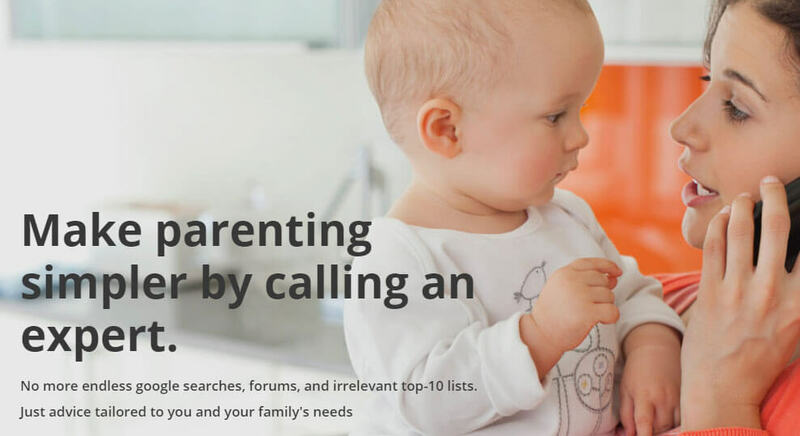 Home to a community of 1.5 million moms and dads, the FamilyPoints platform is a very attractive proposition for manufacturers and service providers who wish to attract new customers and sell their services on the platform. Our Referrals Program is designed to attract third-party services to the platform, giving service providers access to new customers. We also give rewards to third parties who invite their existing customers to our platform. As transactions and rewards are based on the blockchain and are therefore publicly visible, complete transparency is assured. By providing a secure solution which ensures that parents buy safe products for their children through the platform, Babystep is poised to access the potential of China’s huge market and before expanding globally.